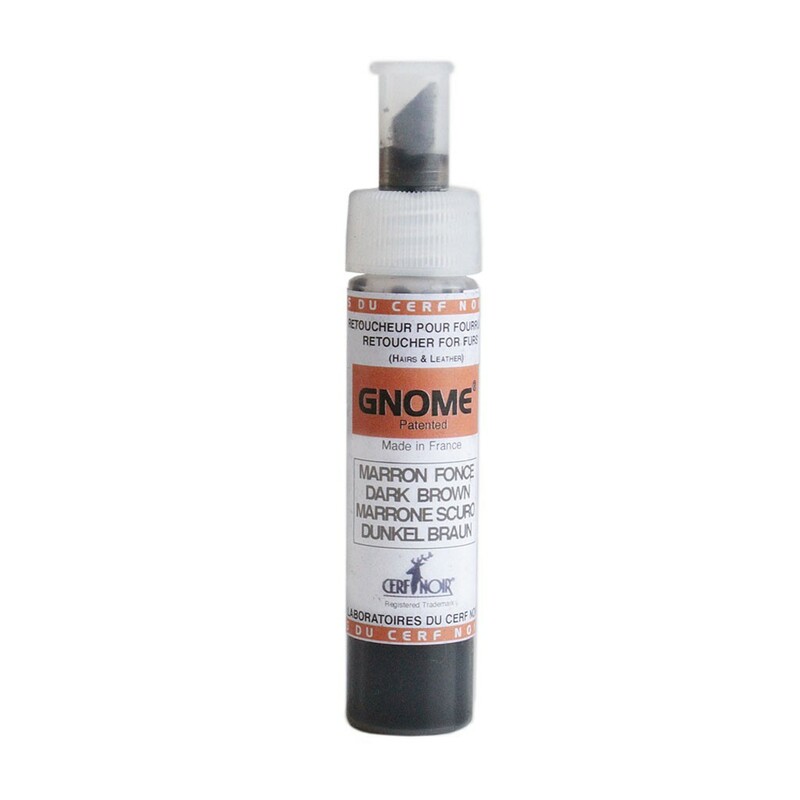 Patented Gnome Retoucher for furs. 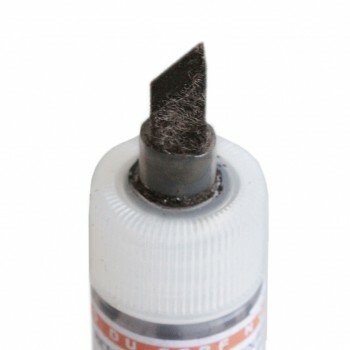 Touch-Up Pen with felt brush for minor touching up on hairs or small cuts in the leather. Touch up by squeezing the Gnome gently. Close firmly after use. Keep upright.